This was posted just two days ago. Alone, it could be nothing but a blast from the past and a fond memory of a crew he enjoyed working with. Couple that with the post above and maybe this is just a fishing post to check if the interest is there. This could mean Zombie’s already got a specific project in mind, not to ruin any of the movies, but it has to be a prequel. 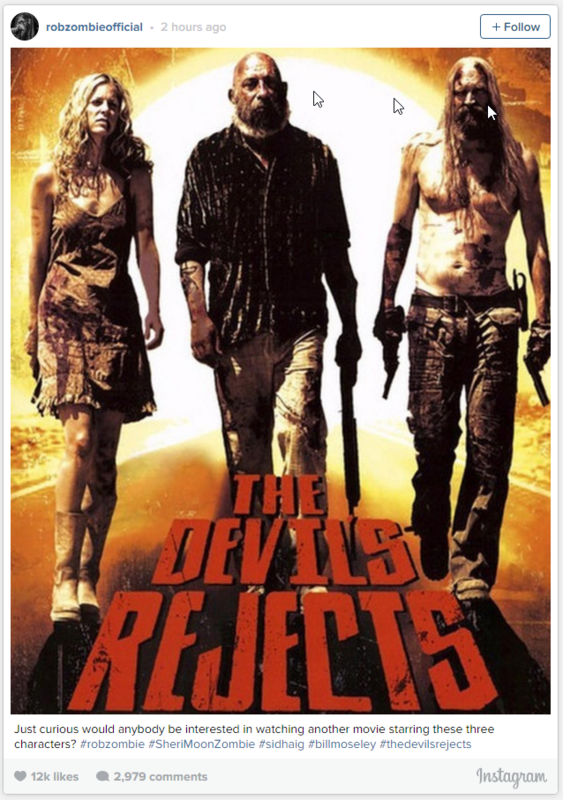 You know what, screw that, if you haven’t seen this movie you never will, they all die!!! This seals it though. 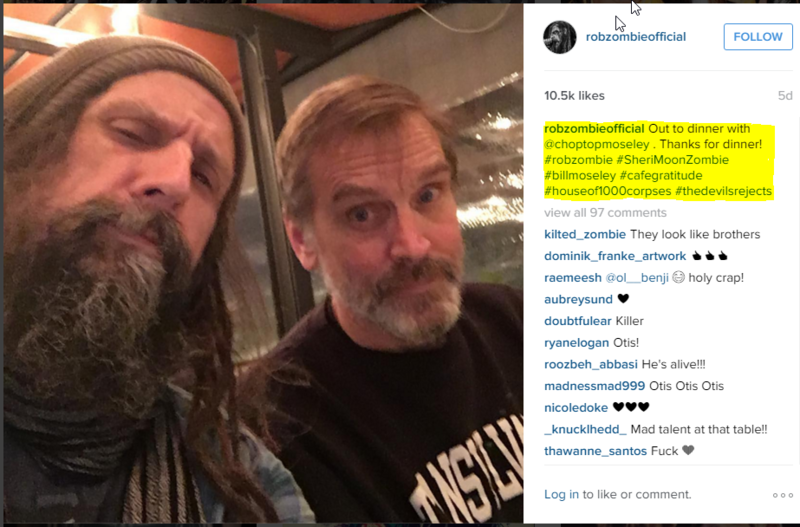 He met with Bill Moseley 5 days ago then starts us thinking about another movie. I’m going to say these two had a little more to talk about than just catching up. 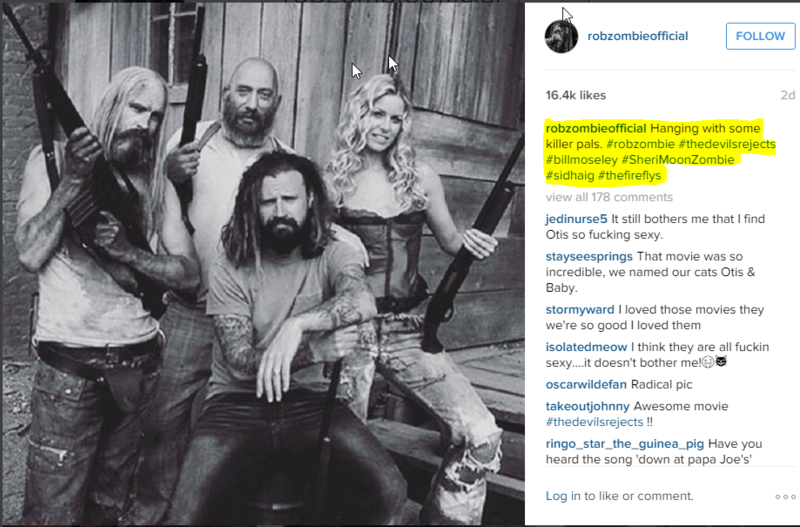 It’s all just conjecture at the moment, but I’m beyond excited to think of Sheri Moon Zombie and Sid Haig joining the party for another movie! This entry was posted on Wednesday, February 10th, 2016 at 9:41 am	and is filed under News. You can follow any responses to this entry through the RSS 2.0 feed. You can skip to the end and leave a response. Pinging is currently not allowed. « Lionsgate Is Reviving The ‘Saw’ Franchise!! !